Pyrenees | Are We There Yet? 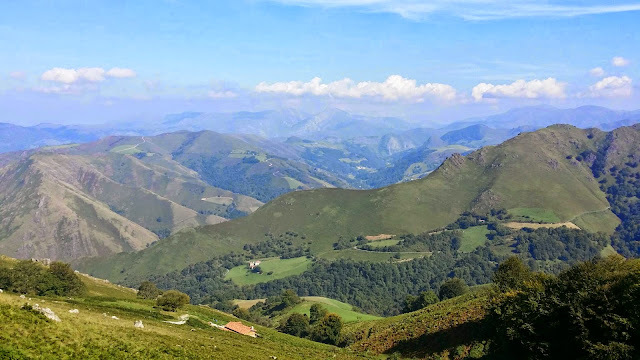 We retraced our steps, spent a night in Pamplona before driving back over the Pyrenees and finding a small hotel in the seaside town of Cap Breton. Back in France again and we just had dinner beside the sea, and now I’m looking at a photo with the moutains in the background… and I’m thinking to myself some where over those hills are a few folks walking and I miss them an awful lot. Stay safe pilgrims and say a prayer for me in Santiago.